Attempts of Armenia to find loopholes for a breakthrough from isolation, in which it found itself due to unwillingness to liberate the occupied lands of Azerbaijan and restore regional stability, look funny. 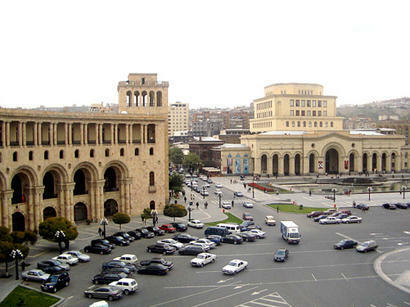 Armenian Deputy Minister Ara Nazaryan declared in parliament that Black Sea partners will help Armenia open new transport routes, in connection with which Yerevan is negotiating with Georgia, Bulgaria and Greece. Thus, the country allegedly intends to break the blockade imposed by Turkey and Azerbaijan. However, it is only about the intensification of the Armenian business in the Black Sea ports and the transit of goods through Armenia from Iran to Europe. Armenia is not going to build new corridors and expand infrastructure. The country simply has no money for it. As for the Black Sea partners of Armenia, they are clearly not eager to spend money on such hazy projects. It becomes clear that Armenia should not hope that with the help of BSEC it will be possible to ensure economic development and solve all political issues. Moreover, the BSEC participants clearly demonstrate dissatisfaction with the policy pursued by the Armenian authorities. Armenia faced a diplomatic failure during the meeting of the Parliamentary Assembly of the Black Sea Economic Cooperation (PABSEC) in Kyiv in November 2017. At the time, PABSEC adopted a declaration dedicated to the 25th anniversary of its creation. This declaration includes an amendment proposed by the Ukrainian delegation on the need “to promote the restoration of the territorial integrity of the Black Sea Economic Cooperation states”. This amendment has caused a really hysteria in Yerevan. In protest against the unfavourable amendments, the delegation of Armenia left the assembly hall. But most importantly, Yerevan declared that it turns out that the delegates from Armenia were not invited to discuss these amendments. So, for isolated Armenia, there was no choice but to just silently swallow an offence.